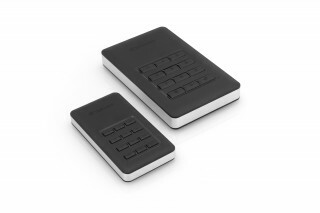 The keypad system is easy to use. 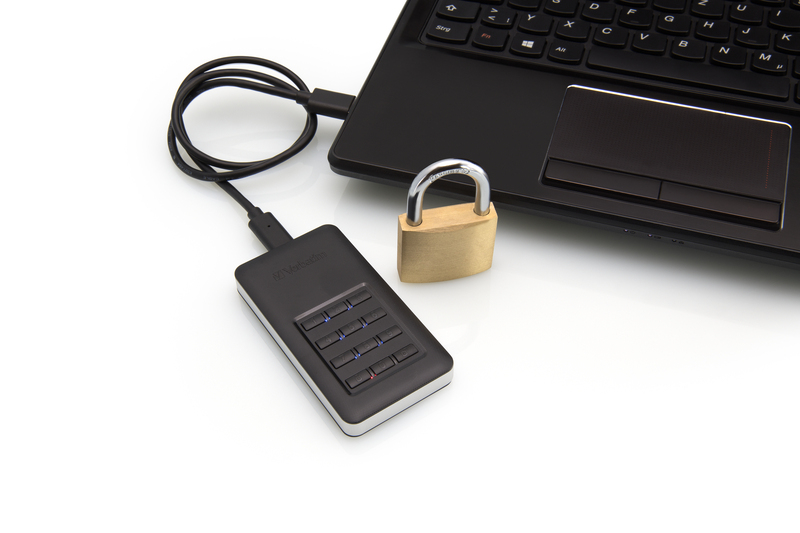 A PIN code of up to 12 digits long is entered and this enables the user to “unlock” the drive and access the disk’s contents. 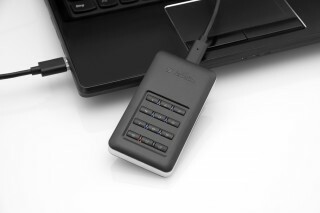 When connected to a computer or other device, LED lights on the keypad show the current status; red when locked, green when unlocked, and amber for admin mode. For added security, the hard drive will lock and require re-formatting after 20 failed password attempts. 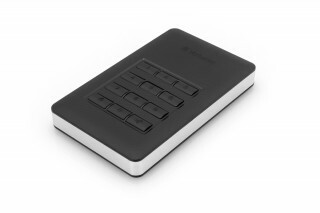 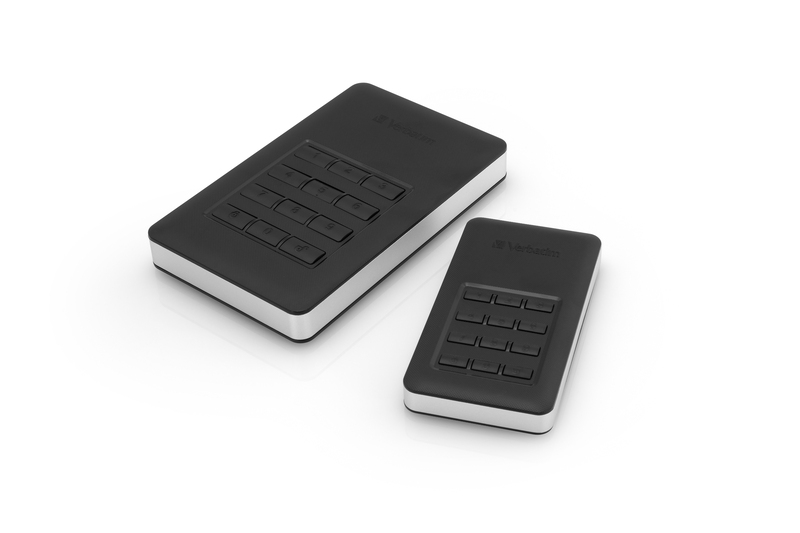 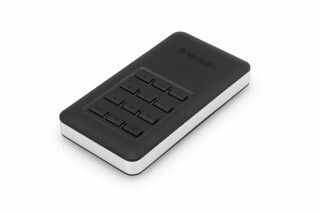 The keypad entry system also allows the drives to be connected to TVs and set-top boxes that have the facility of supporting external drives, a feature which is not possible with regular software encrypted hard drives. 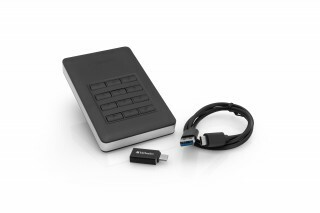 Compatible with both PC and Mac operating systems, the interface is USB 3.1 GEN 1 with USB-CTM connection for super-fast data transfer speeds. 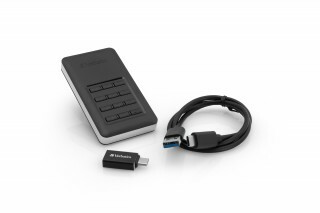 The pack includes a USB-CTM to USB-A cable as well as a USB-A to USB-CTM adapter for connection to a range of devices. For added security, Nero Backup Software is included which allows you to schedule backups of all your files, folders, and drives from your laptop or PC to ensure that backups get done regularly. Nero Backup Software is compatible with Windows Vista, Windows 7, Windows 8 and Windows 10, but not compatible with Mac OS. 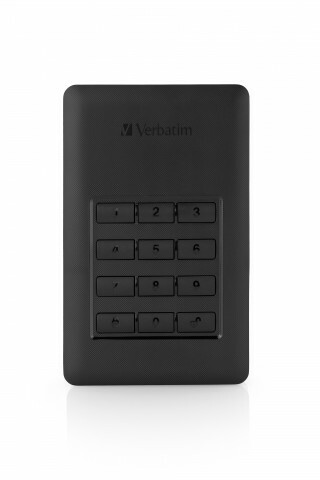 The 1TB Store‘n’Go Secure Portable HDD with keypad access (PN 53401) weighs approximately 280 grams and is 123mm long, 76mm wide, and 11mm thick. 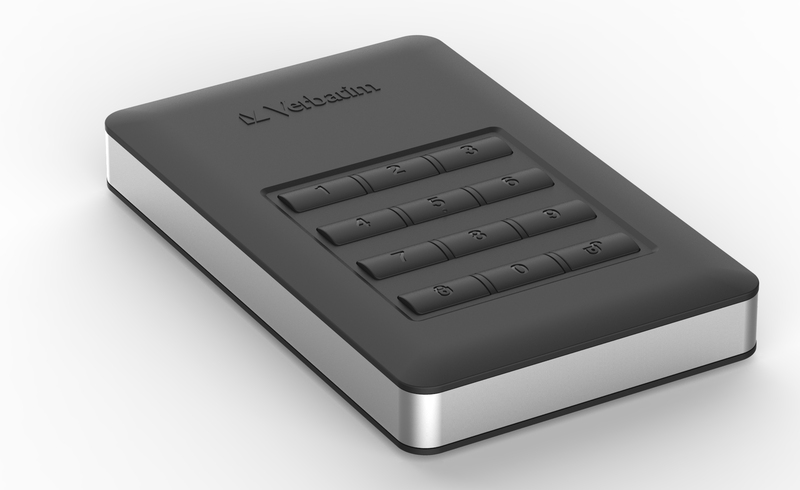 The 256GB Store‘n’Go Secure Portable SSD with keypad access (PN 53402) weighs only 116 grams and is a mere 93mm long, 50mm wide, and 13mm thick.